Many Biomat® customers recognize the benefits of using multiple products with Biomat® technology together. We've put together some common product groupings to help out. This combo includes the Biomat® Professional and the Biomat Pillow™. It is our most basic product combination for wellness professionals. This is also a great combination for any individual who wants full strength far infrared for the body and a lighter more gentle far infrared therapy for head and neck. The Biomat® Comfort Combo includes a Biomat® Professional and a Quantum Energy Pad professional size. This Biomat® product combination is perfect for individuals who desire more comfort during Biomat® therapy sessions. The Biomat® Professional delivers full strength far infrared and negative ion therapy while the Quantum Energy Pad adds a layer of comfortable padding that doesn't interfere with the Biomat® experience. The Biomat® Professional Comfort Combo includes a Biomat® Professional, a professional size Quantum Energy Pad, and a Biomat Pillow. This is a perfect product combination for people who enjoy more comfort during their Biomat® Professional far infrared and negative ion therapy and wish to have a more gentle far infrared experience on the head and neck. It's also perfect for individual side sleepers who use Biomat® during sleep. The Biomat® Professional delivers full power far infrared while the professional size Quantum Energy Pad delivers a comfortable padding atop the Biomat® which will not interfere with the far infrared experience. The Biomat Pillow keeps the head cooler and delivers a milder far infrared treatment. Many people enjoy a more gentle far infrared experience around neck and head. The Biomat® Ultra Combo includes the Biomat® Professional, the BIomat® Mini, and a Biomat Pillow. This product combination is the ultimate choice for individuals who wish to receive the benefits of far infrared from below and above for certain body parts. The Biomat® Professional delivers far infrared therapy from below while an individual lays on it. Then Biomat® Mini can be used to deliver far infrared therapy from above by placing it on desired body parts. The Biomat Pillow is used to deliver a cooler and more gentle far infrared experience to the head and neck area. The Biomat® Ultra Comfort Combo includes a Biomat® Professional, a Biomat® Mini, a professional size Quantum Energy Pad™, and a Biomat Pillow™. This product combination delivers the ultimately comfortable and therapeutic Biomat® therapy for individuals. The Biomat® Professional delivers far infrared therapy from below while an individual lays on it. Then Biomat® Mini can be used to deliver far infrared therapy from above by placing it on desired body parts. The professional size Quantum Energy Pad goes between the individual and the Biomat® Professional to provide a comfortable padding that will not interfere with far infrared therapy. The Biomat Pillow™ is used to deliver a cooler and more gentle far infrared experience to the head and neck area. The Biomat® Professional and Mini Combo includes a Biomat® Professional and a Biomat® Mini. This product combination delivers a more thorough and complete far infrared therapy. The combined therapy of the two products allows the user to experience the greatest circumference and depth of far infrared treatment to any body area. The Biomat@ Professional delivers far infrared from beneath on any flat surface while the Biomat@ Mini can be used to cover any specific body areas. With this combination, it is possible to wrap body parts in far infrared therapy for maximum benefit. The Biomat® Professional and Mini Comfort Combo includes a Biomat® Porfessional, a Biomat™ Mini, and a professional sized Quantum Energy Pad.his product combination delivers a more thorough and complete far infrared therapy with added comfort. The combined therapy of the three products allows the user to experience the greatest circumference and depth of far infrared treatment to any body area in comfort. The Biomat@ Professional delivers far infrared from beneath on any flat surface while the Biomat@ Mini can be placed on any specific body areas. 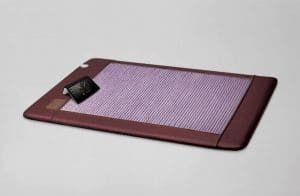 The professional sized Quantum Energy Pad provides comfortable padding without interfering with the far infrared benefit of Biomat® . With this combination, it is possible to wrap body parts in far infrared therapy for maximum comfort and benefit. The Biomat® Budget Combo includes a Biomat® Mini and a Biobelt™. When you have to have Biomat® far infrared and negative ion therapy but are on a budget. 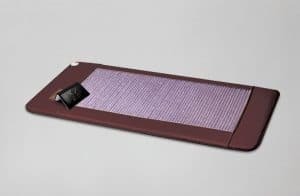 The combination of Biomat® Mini and Biobelt™ will allow the user to experience wrap individual body areas in far infrared therapy or provide two body areas with far infrared therapy at the same time. The Biomat® Mini is excellent for covering body parts or for laying on to receive far infrared benefits to smaller body areas. The Biobelt™ delivers far infrared energy with a belt.